At this year’s Tokyo Game Show, Capcom announced that they’re bringing the Ace Attorney trilogy to Nintendo Switch, PlayStation 4, Xbox One, and Steam early next year. If you haven’t given these legal-based games a try, and ever found yourself wondering why people were pointing dramatically at one another and shouting, “Objection!,” here’s your chance to get in on the fun. 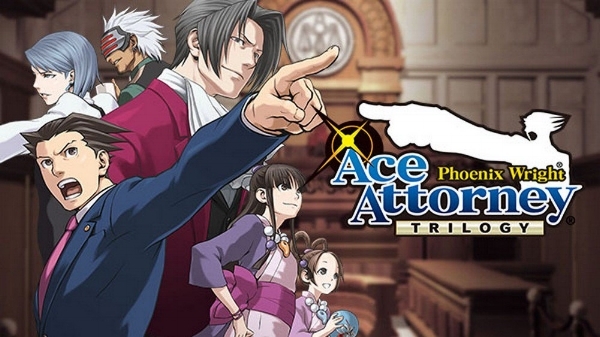 The Ace Attorney trilogy comprises of the first three games in the Ace Attorney series; Phoenix Wright: Ace Attorney, Justice for All, and Trials and Tribulations, which were originally released more than a decade ago for Nintendo DS in the West. While there are more games in the series, including sequels, spinoffs, and a prequel, the original trilogy are arguably some of the best. The fantastic localization includes plenty of pop-culture references. Can games that are set in the courtroom even be fun? The answer is a resounding ‘yes.’ First of all, the criminal justice system of Ace Attorney doesn’t resemble any real world equivalent I’m aware of (unless somewhere there’s a court of law where it’s acceptable for a prosecutor to whip the judge). Legal minutiae (which I fully appreciate is very important in real life) is completely stripped away in favor of the more glamorous aspects of being a lawyer - gathering evidence, interrogating witnesses, and poking holes in your opposition’s case. 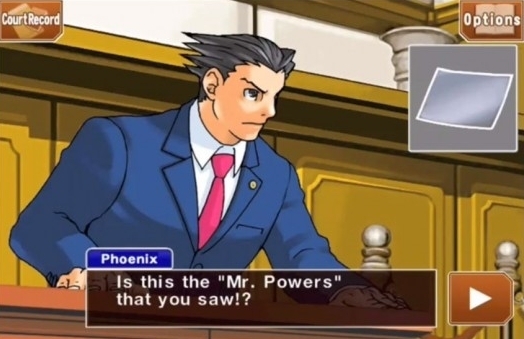 In the Ace Attorney trilogy, you play as Phoenix Wright, a rookie (as of the first game) defense attorney whose idealism is tested throughout the series. Phoenix gets a little supernatural assistance from members of the Fey clan, spirit mediums who can temporarily channel the spirits of the deceased - pretty handy for murder investigations! While each case serves as its own self-contained, ‘whodunit’ mystery, the overarching story of Phoenix, the Feys, and his rival prosecutors slowly unravels throughout the course of the trilogy, culminating in the spectacular final case of the third game. Gameplay is broken into two distinct sections: investigating the crime scene, which includes gathering evidence and speaking with witnesses in a simple point-and-click fashion; and the aforementioned courtroom segments, where you verbally spar with your rivals and attempt to use logic and evidence to point out inconsistencies in witness testimony. Each game contains four to five cases, which ramp up in complexity and difficulty as you progress. It’s easy to suspect that this formula would get stale and that cases would quickly get predictable, but this is far from the truth. The soundtrack is also excellent. Where Ace Attorney really shines, in my opinion, is in its memorable, colorful, downright wacky cast of characters. Almost every character in the series has secrets, whether nefarious or innocent, a quirky and distinct personality, and vivid array of animated sprites. The skillful character writing applies to the mysteries at the heart of cases as well. Few twists are predictable, and everyone’s always a suspect. Like Phoenix Wright, you’ll likely find yourself in the courtroom lobby with no clue who the guilty party is, hoping you can bluff your way to some logical conclusion before the prosecution scents blood in the water. And I think it’s important to note that, despite its many, many laugh-out-loud moments, Ace Attorney never forgets that serious crime (usually murder) is the backbone of the story. Grief and loss are treated with the reverence such weighty subjects deserve, and the general sense of levity is punctuated by heavy moments of sadness in a way that feels organic and not tonally jarring. Overall, the Ace Attorney games are a thoroughly enjoyable and unique video game experience. If you’re a fan of mysteries and puzzles, or just looking for a game outside of the norm, I really can’t recommend the Ace Attorney trilogy enough. And with Capcom bringing it to the major consoles and PC in early 2019, it’s almost guaranteed to be available on some platform you own. Ace Attorney is currently available for Nintendo DS/3DS, Wii, iOS, and Android. It will be available on Switch, Playstation 4, Xbox One, and Steam in early 2019.